Epic’s MyChart app is now the most popular medical app in the iOS App Store — clearly showing there is huge demand for communicating with your healthcare team via your smartphone. The MyChart medical app is used by patients to track their health, communicate with their clinicians and health care teams, review test results, and much more. 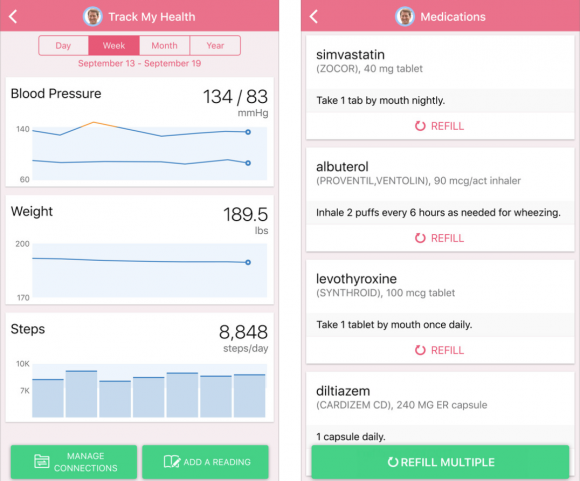 The MyChart app is the patient facing side of Epic’s electronic health record. The MyChart app can even sync with Apple’s Health app. This allows the MyChart app to pull data from Apple’s Health app and import it into the MyChart app. This sync enables your healthcare team to view your health data in granular detail (with your permission) in your electronic medical record. 1) You can access new information alerts about your family in the notifications center. 2) Summary views have been improved — such as lists of medications and upcoming appointments. 3) 3D touch support is now turned on — you can go directly to sending a message, scheduling an appointment, or refilling medications simply by using 3D touch on the MyChart icon.